Author John Lubbock made an excellent point when he said, “We may sit in a library and yet be in all quarters of the earth.” Yes, books can take us anywhere – from mad scientist’s labs to exotic cities to intellectual conversations to top secret stealth missions. Books cover many interesting subjects. They also bring us together as a community. In this age of technology, our worlds are filled with gadgets, electronics, and things that go “bleep!” in the night. These techie tools certainly make life easier. While technology is part of our future, books are an integral part of our past… and an important part of our present. They have kept our history, shared ideas, imparted knowledge, and even just simply entertained us. 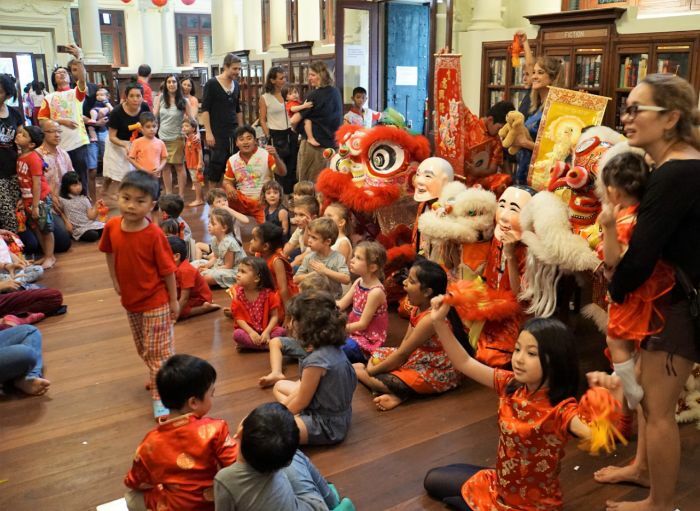 An easy way to check out the Children’s Programme is to stop by a Saturday story time. These are held on Saturdays at 10:30am. Members get free access while non-members kindly pay 100B entrance fee. Check the Neilson Hays’ Library Facebook page for weekly story time updates. Story time themes include topics such as “Ninjas: Path of the Story Time Warrior” and “Zoom! Things That Go: Planes, Trains, Trucks, & More!” These English language story times are geared for babies through four year old children, Volumes but older tweens get into the action, too. These youth volunteers often read to the little ones. Not only is it a great way for them to strengthen public speaking, community involvement, and leadership, but it is also fun. So, where will story time take you today? Well, that depends upon the story teller. They bring books to life! You might do magic tricks with Charles the French or practice yoga with Jennifer. You could make Silly Soup with Lori (don’t forget the mushrooms and smelly socks!) or sing-along during Musical Rhyme Time with Lisa. Tra-la-la-la-laaa! Lisa Toner, the Director of Library Services at Shrewsbury International School, is also one of Neilson Hays Library’s guest story tellers. Why is story time such an important part of children’s lives? She explains, “Research has shown that reading for pleasure can help children to do better in their exams as it expands vocabulary, creates empathy, and encourages critical thinking skills. As a school librarian and as an author of children’s books I am constantly promoting the power of reading for pleasure. Being read to is one of the most positive of childhood experiences. Come along and join in the fun at the Saturday story time sessions.” The possibilities are endless! Story times always involve a playful approach to books, music, and crafts. The goal is to attract kids to literacy. The benefits of reading aloud to children are astounding. It expands their interest in books while lengthening attention span. Additionally, children’s vocabulary, comprehension, and conversations improve when exposed to reading. Aside from boosting literacy, these guys have a pretty good time, too. Kiddos cosy-up on bright, oversized beanbag chairs. Stuffed animals are available for tiny tots to cuddle… or perhaps to read a book alongside. Book-related songs and crafts bring the experience together. Community involvement is encouraged. Story times often feature local schools and organisations. Holiday story time events are a special affair. They provide a festive occasion to celebrate culture and tradition. Programmes change yearly, but they always feature a signature book, costumes, music, and surprise guests. So, what can you expect? Chinese New Year exuberantly exclaims, “Good Fortune! Wealth! Happiness!” Families greet friends with a Gong Xi Fa Cai! while reading cultural tales, collecting red envelopes, and eating lucky snacks such as noodles. A previous highlight has been the dramatic dragon dancers, acrobats, and drums. 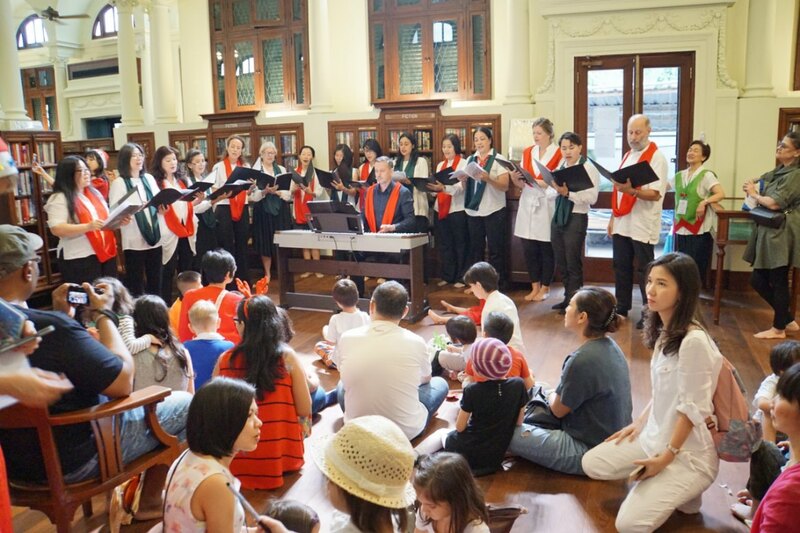 A recent December holiday featured a ‘How the Grinch Stole Christmas and Hanukkah’ presentation complete with story tellers dressed as elves, carols sung by the Bangkok Music Society, and a visit from Santa Claus. Ho! Ho! Ho! Children had photos with Santa under the Christmas tree and collected special gifts. No lumps of coal were seen here. Hippity hop the stories don’t stop. One Easter celebration entitled ‘Peter Rabbit’s Bunnies and Butterflies’ transformed story time into an enchanted garden complete with story tellers dressed as silly rabbits and giant butterflies. Activities included a reading of Beatrix Potter’s classic tale, Peter Rabbit, followed by a cheeky presentation of the nursery rhyme Little Bunny Foo Foo. What mischievous bunnies! Since Neilson Hays Library loves collaborating with neighbourhood events – they performed this story time at The COMMONS Easter Celebration, too. Plug in. Power on. Boot up. Techies unite! Coder Dojo brings coding and kids together. Well, you didn’t think that a historic library was all about history, did you? The Neilson Hays Library encourages diverse learning – whether that be with a book or a laptop. These monthly workshops are geared towards kids ages seven to seventeen years old. The peaceful library provides the perfect place to learn to code in a small group setting. Rather than just be the consumers of digital products, kids can become the developers. They make the machines do their bidding. Curious to learn more? Code is the computer language used to develop apps, websites, and software. Coder Dojo introduces kids who share this similar interest. Not only do they learn something fun and useful, but it shows them how to become future computer programmers. It also provides them with the “know how” to create their own software. They learn something that can help others and potentially change the world. How’s that for knowledge? School visits Kids can grab their backpacks, pack a lunch, and follow their teachers to the Neilson Hays Library for an exciting school visit. The folks at Neilson Hays Library welcome schools. They are happy to arrange a programme that includes a tour of this historical gem. Students can learn about Bangkok’s history and architecture… with exploring cool points-of-interest such as (shhh…) finding the hidden passageway and learning how a love story built the library. Younger kiddos can enjoy a story time while older students can embark upon a literary-based scavenger hunt. Additional options may include themed crafts, supplemental activities, and refreshments. Schools can contact the library to learn about scheduling a visit. The library will even tailor the programme to match a unit study or curriculum. Are you interested in plant cycles, ocean adventures, robots, or fractured fairytales? Well, they’ve got just the story time for you. Contact secretary@neilsonhayslibrary.org to book a visit. Power to the pen! Calling all aspiring writers, budding authors, and inspired illustrators! 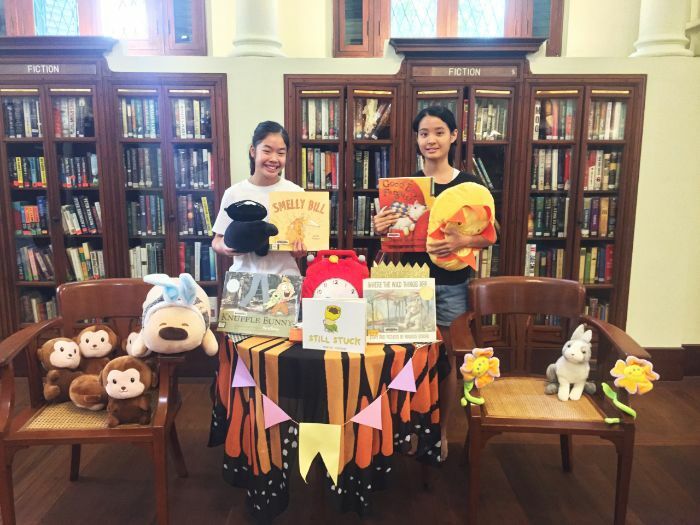 Each year the library invites students ages ten through eighteen years old to join the “Neilson Hays Young Writers Awards.” A yearly theme, such as ‘Hope’ and ‘Wonder’, provide jumping points for their work. Students submit illustrated children’s picture books or short stories written in English to this writing competition. 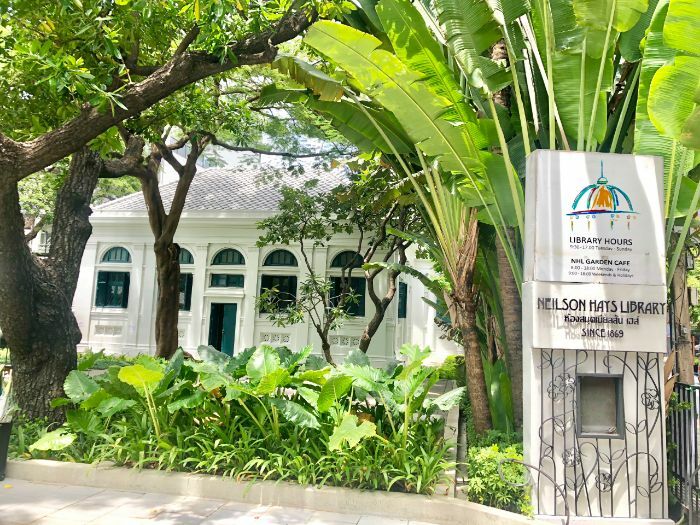 Talent is nurtured as those making the final round are invited to a workshop at the notable Chakrabongse Villas, a former royal residence in Bangkok’s historical district. Creativity continues as published writers and illustrators coach the students on their works. In addition to winning prizes and 10,000B per category, winners will see their works read aloud by prominent figures in the literary and art world. Winners have also been invited to read their works at literary events and be published in local magazines. Where have all the teachers gone…?